Entertaining during the festive season doesn’t have to be stressful – get a little prepared, keep things simple and you can enjoy these Holiday party ideas as much as your guests! It’s that time of year. The decorations are up, gifts have started to arrive from family (since we are not near any of them) and we’re desperately trying to sort out what we’re sending to others. Plus while we’re not necessarily doing all that much entertaining ourselves this year, I know that’s on the agenda for many. 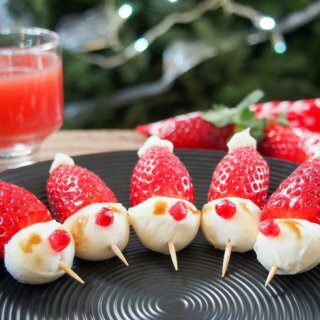 To get you in the spirit, I thought I’d share some cute little strawberry Santas, as well as some easy Holiday party ideas. Set up a drinks station so you don’t have to serve for everyone – I have some more tips about that alongside my cranberry sangria recipe. 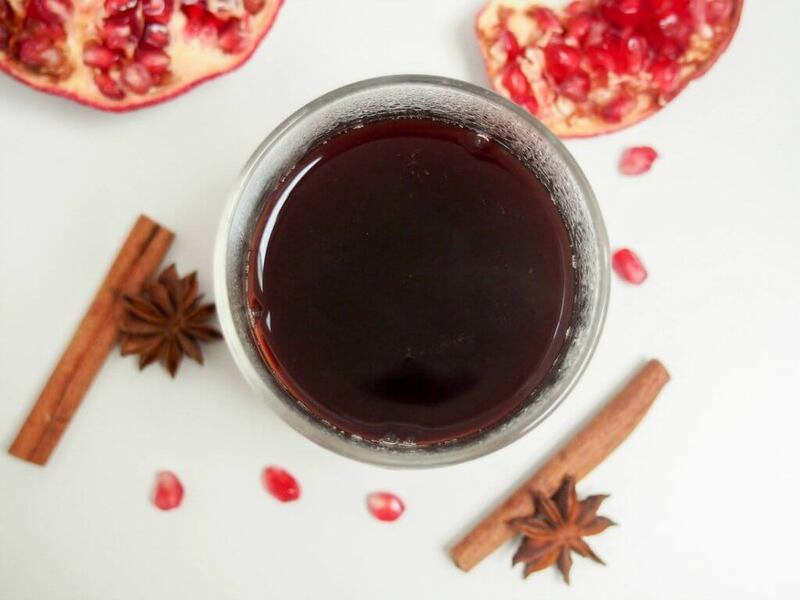 If you’re in a cold location, like me, think about having a warm drink to beat the cold such as hot apple cider, mulled wine or try my warm cranberry cocktail or warm pomegranate punch. 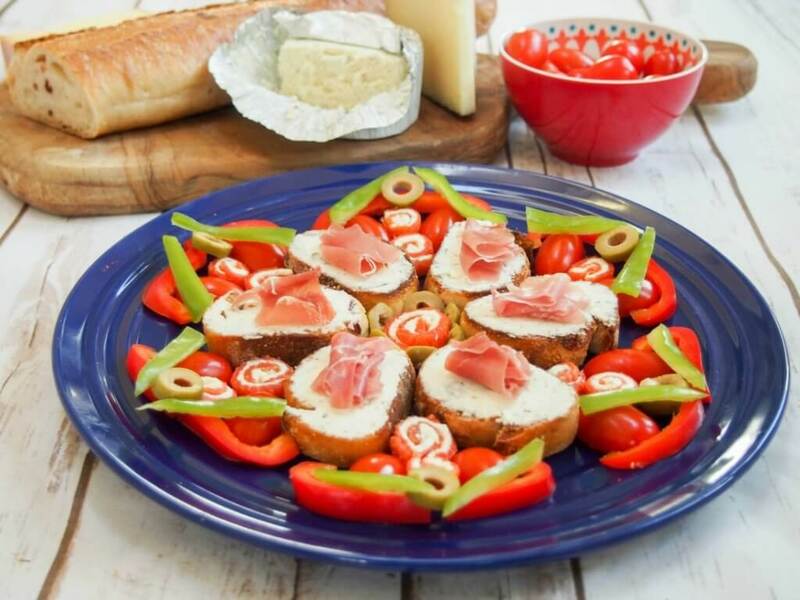 Buffet-style appetizers are often easier than serving a meal – that way guests can take as much or as little as they like and choose what they like or don’t. 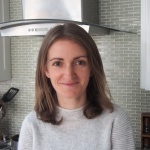 Try to find out if you have any allergies or dietary requirements to accommodate and make food accordingly. For me, this is another reason to do a few different dishes, so some will work for different needs but you can still have other things that work for others. Just because there is one vegetarian doesn’t to mean that meat should be off the menu for all, unless it makes sense. Make as much as you can ahead of time, even if it’s not the whole dish. For example you can make the bacon jam, apples and toast the bread for my caramelized apple and bacon jam crostini ahead of time then assemble them nearer the time. Similarly you can toast the crostini and make the mushroom pate for steak crostini and just do the steak last minute, or do all and serve it cold. A mix of sweet and savory can also be good, as well as some hot and cold, but without giving yourself too much extra work. Basically make it all as easy as you can on yourself! and dips like baba ghanoush. 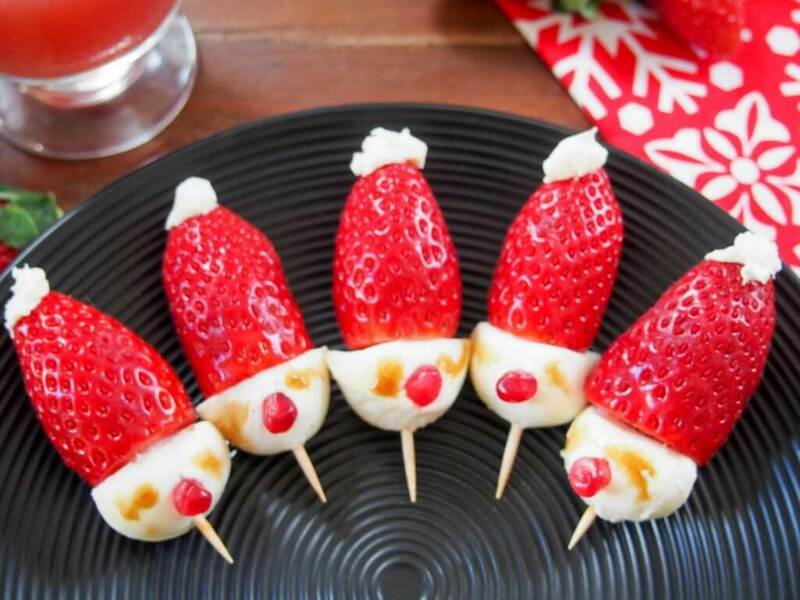 Strawberry Santas are a super easy, fun appetizer to add to your collection. In fact they are so easy, I made a video to show you how quickly they come together! Take a look below, and you’ll see what I mean. While I have made a semi-savory version here with mozzarella, balsamic and mascarpone you could also make this in a dessert format with marshmallows, chocolate and whipped cream. In some ways the dessert version would work better as the chocolate will dry to make better eyes than the savory version, but this appetizer is just for fun so I don’t think it matters. Make a slight indent in the middle of the mozzarella balls and press in the narrow end of the pomegranate seed in each one. Use the flat end of a cocktail stick to dab a little balsamic reduction or pomegranate molasses above for 'eyes'. Spoon a little mascarpone on the end of the strawberry and serve. Note - you will also need cocktail stick to assemble. You can make a sweet version by substituting marshmallows, chocolate and whipped cream. Increase quantities as needed. So cute and fun for Christmas! Thanks Nancy, they’re so easy and absolutely fun! Caroline, thank you for all these great ideas. 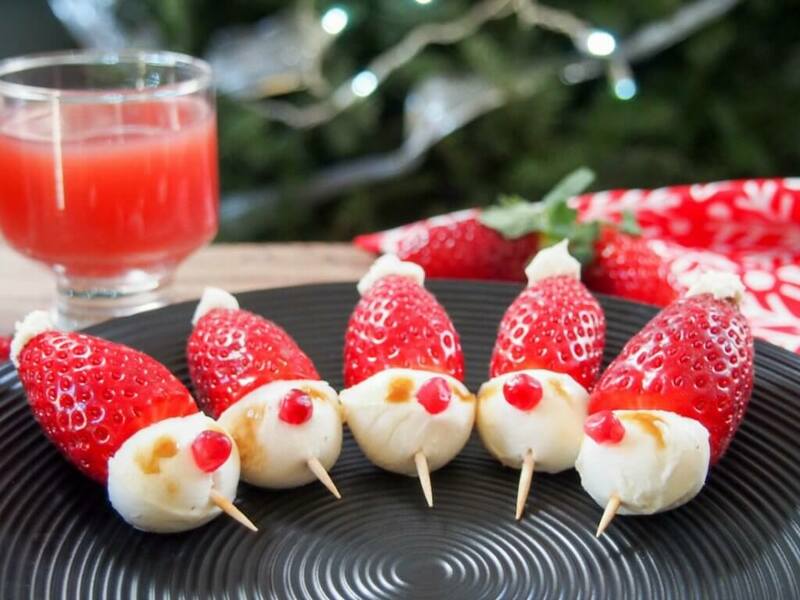 These strawberry santas are perfect, so cute and hyper simple too! Love that for the holidays! And your hot phyllo crab cups, YUM!! Thanks, yes the phyllo crab cups are so tasty, and both those and the Santas are super easy too! Oh my gosh these Santas are SO cute! Perfect for a party! And what an amazing list for the holidays! Thank you! Glad it gave some ideas. Looks so delicious and cute! Perfect for any Christmas party! So adorable and fun! Perfect for Christmas. I love how it’s so simple, but full of sweet, salty, and tangy flavours. Thanks, it all works well together for sure! How cute are these !!!!!!! 🙂 they look delicious :)﻿ My whole family would go crazy for these! These are so creative and clever. They are perfect for here in Florida too we have berries all year long and easy to find! I have to make these for my grand kids they will love this! Thanks, and yes great with your winter berries! Enjoy.